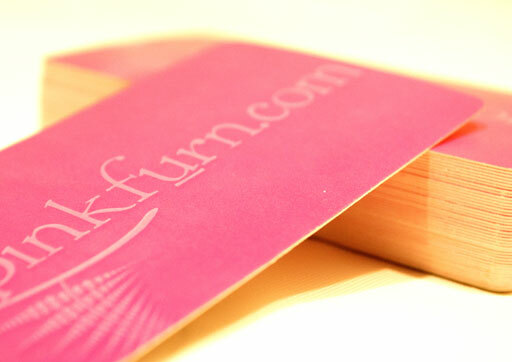 Pinkfurn is a retailer of fine and unique home furnishings. We created the logo and the designed the cards and hangtags for the company. We implemented a gloss overlay on the pink cards that gives a raised texture to the logo which showcases the logo on the pink background.